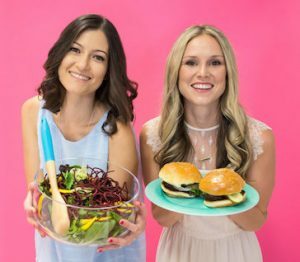 Inside Scoop: These are our favourite top 5 must have kitchen tools to make cooking healthy much easier. Cooking doesn’t always come naturally. Some of us are raised with parents or grandparents who spent most of their lives in the kitchen, and skills get passed down. But for others, these skills have to be learned. We remember when we first started cooking. Learning how to cook real, whole foods, and coming up with recipes from scratch using healthy ingredients, was not something that we mastered then and there. 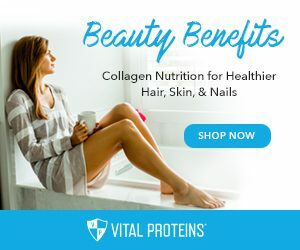 It happened over time, and was definitely emphasized through studying what these foods actually did to the body. We’re going to tell you right now that us f*king up a recipe, having it come out burnt, dry, or tasteless has happened so many times. Just our Grain-Free Apple Pie Snickerdoodle cookie alone, was a 4-attempt recipe, and even our husbands will chime in and tell you that many of our recipes have needed some work throughout the years. But that’s just it. Yes, cooking is an art, but with art comes skill! Cooking needs to be mastered, it needs to be tried over and over again, you need to understand how flavours work together, how mentally organizing a recipe helps, and how meal prepping comes in handy. Our first failed attempts actually got us down. It can be mildly discouraging to think that you may never be the best cook, or that next time you try the recipe it may turn out the same. 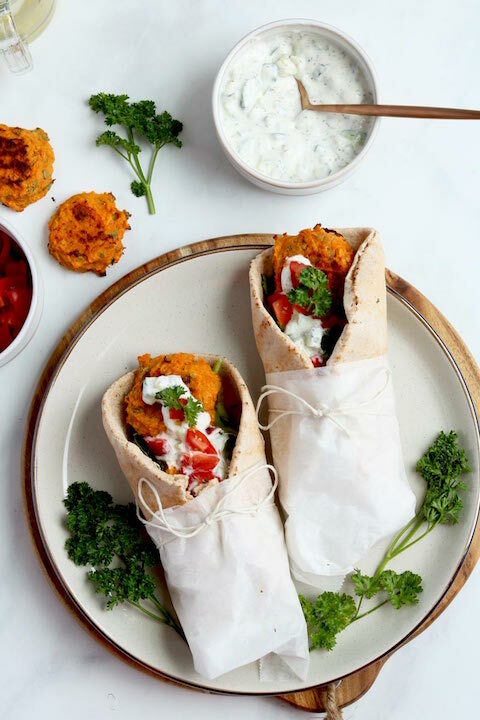 But, there are plenty of things that can make or break an at home chef, and having the right kind of kitchen appliances is one of the first steps to help you become better in and around your kitchen. We know that knowing what the best appliances are, isn’t always an easy thing either. When Jenni bought her juicer, it literally took months of research to find out what the best juicer was to buy. We’d think it’s the same for blenders, knifes, food processors, and so on. That’s why we wanted to let you in on our top 5 favourite must have kitchen tools and appliances, we both have in our kitchen, where you can find them and why they are so useful! Okay, so this tool was recently purchased to replace a regular hand held blender (no interchangeable tops), and boy oh boy this is one of the best products ever purchased for the kitchen. This 3-speed immersion blender has 4 different interchangeable attachments. 1) A whisk. If you want to make mayo, whisk egg whites (or aquafaba), coconut milk, cream butter and sugar for cookies, or basically anything you want to use a high-powered whisk for. Is great stuff! 2) The regular hand held blender, which is especially great for large batch soups and sauces. 3) Now this is Jenni’s fav: the chopper! It comes with a mini food processor. If you hate cutting onions and garlic, you can literally dice a whole onion in a mere 15 seconds with this option. 4) A smoothie/blender setting. Just like the processor this attachment will whip up a smoothie in seconds, is easy to clean and you can take the cup to go. 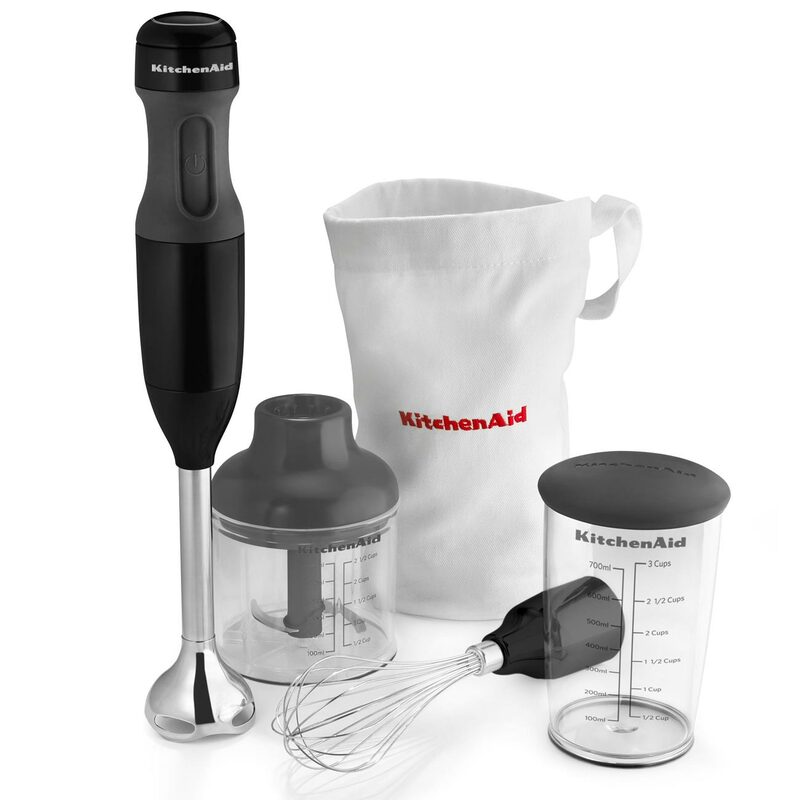 The Kitchen Aid 3 Speed Immersion Blender is hands down one of our favourite must have kitchen tools that makes chopping, prepping and cooking 1000x easier. It’s such an understatement to say how important knives are for cooking. The difference between an expensive knife set, and a basic one is undeniable. A great knife set makes chopping and cutting food nearly effortless. You just need to think about what you do in the kitchen the most, and make sure your set reflects your style of cooking. 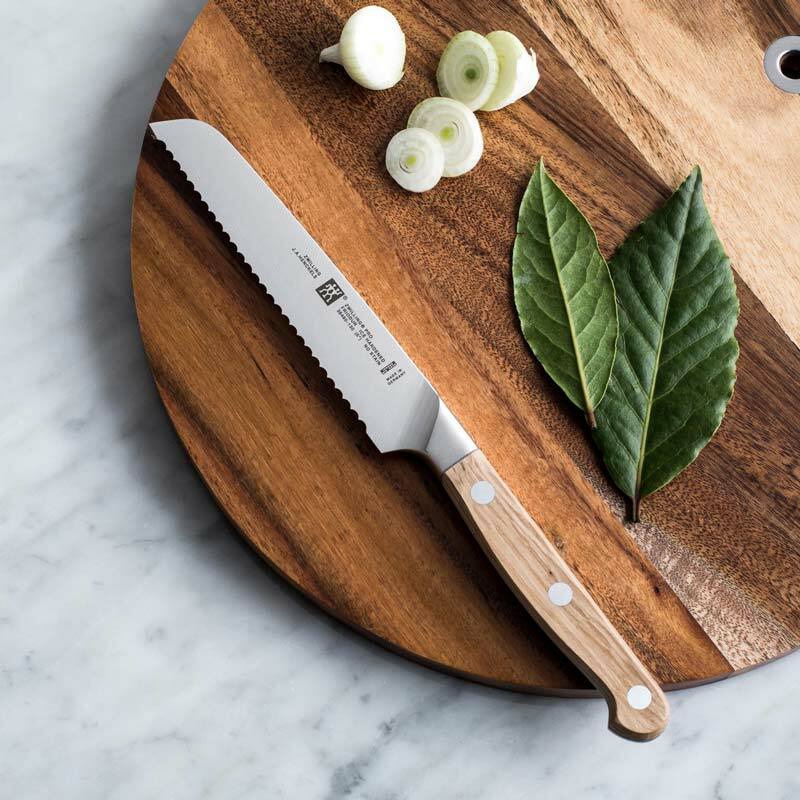 A great knife for dicing veggies, mincing food, cutting meat, filleting fish… there are special knives for all uses, so buying the ones that suit your needs the most is important. Zwiling is one of those knife brands that will 100% do the trick. They are crafted with true quality, made to last a lifetime, incredibly durable, and sharp as hell (which is what you want). A key point to remember with knives is that they are expensive, but quality trumps everything. A high-quality knife set will be a must have kitchen tool that lasts a lifetime. Vitamix blenders also last! We both have had ours for years and don’t see them crapping out on us anytime soon. They are so high powered you can even make flours out of them. A high-powered kitchen blender is key, and Vitamix definitely tops the charts. 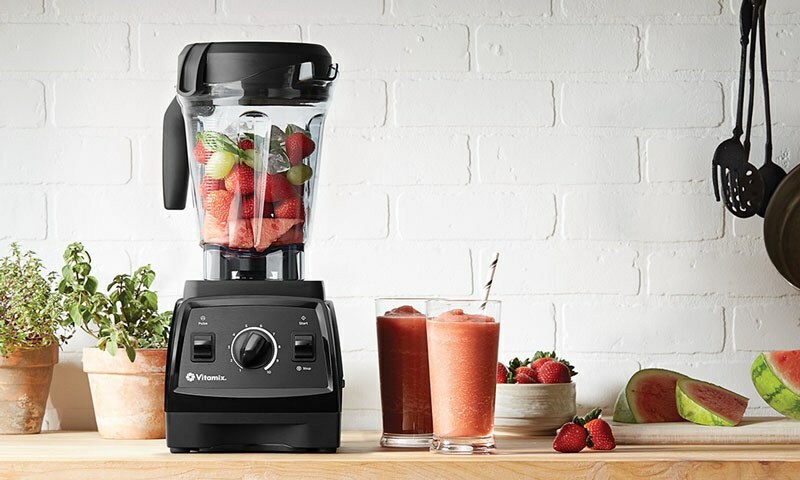 With Vitamix there are varying levels of power, going all the way up to professional use. The pro ones are amazing as they are much more intuitive and you can blend whatever your little heart desires in them, but we have the 7500 model, it’s cheaper, and we can still pretty much blend whatever our little hearts’ desire in them (except pure nut butter, don’t try that one). We don’t know where we would be today without it, a definite must! This one comes from a place of love for all things spiralized, but really, if you are trying to get more veggies in, cut back on the white flour, or reduce your carb intake, then adding spiralized veggies into your diet is not only fun, but a great way to do so. You can use zucchini or sweet potato noodles in place of regular noodles, add to stirfry’s or just eat in raw salads. 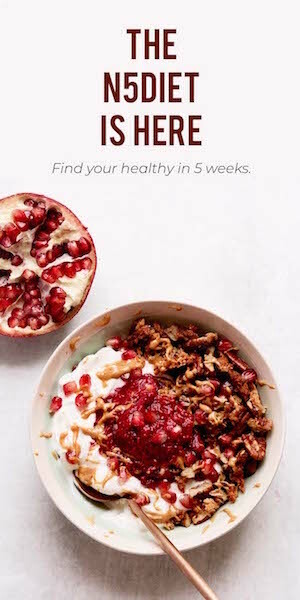 You can spiralize beets, squash, apples, you name it. It adds flavour, nutrients, colour and vibrancy to your cooking. 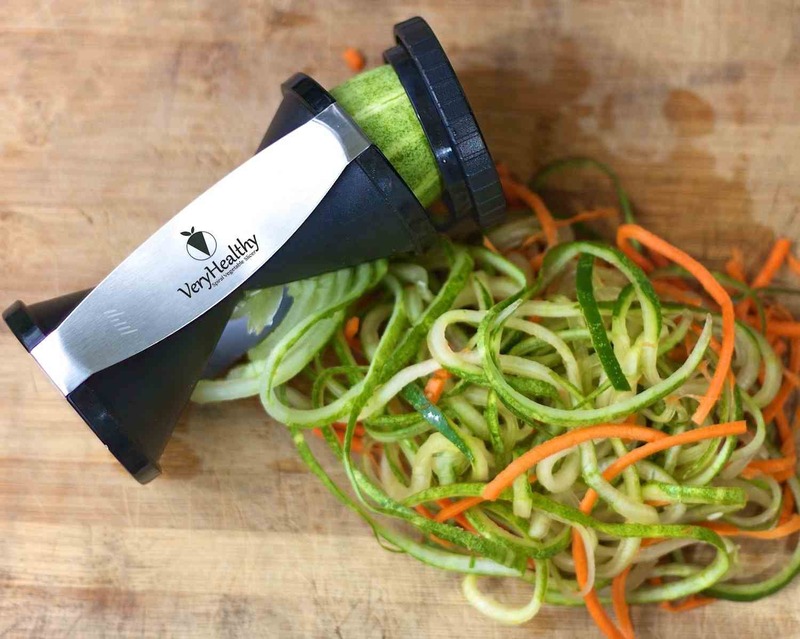 We love the Spiralife Vegetable Slicer because we’re all about ease. Pulling out a huge spiralizer, and then trying to store it is a pain. This spiralizer is small, fits easily into your drawers, cleans easy and still has the right size heading that you can fit most vegetables into it. There are some great spiralizers out there, depending on preference and need. A great pot and pan set is essential for cooking! Nowadays Teflon® and non-stick cookware is everywhere. 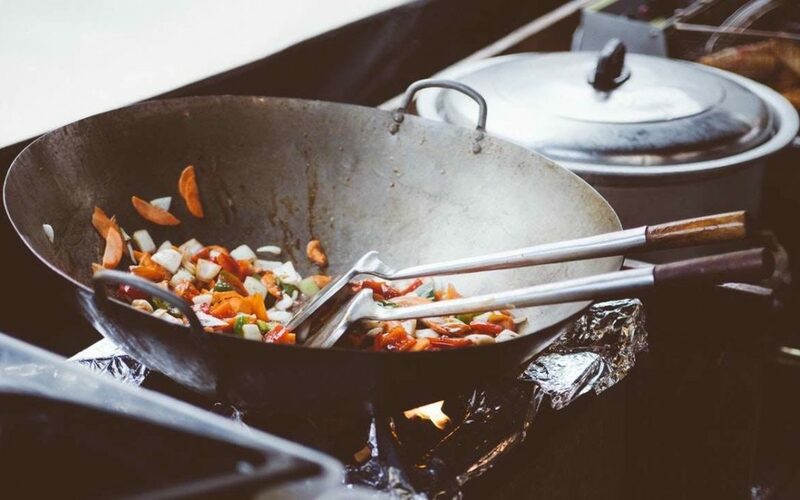 It’s the best and most well-known surface for cookware, but did you know that Teflon® is a brand name for a man-made chemical called polytetrafluoroethylene (PTFE), and another chemical called Perfluorooctanoic acid (PFOA) is used in the making of Teflon. While most of PFOA is burned off in the manufacturing process, some is left behind in the final product, and has been shown to be a potential health concern, as the chemical tends to linger in the body for a long period of time. Using Teflon coated pots and pans have not yet been shown to cause cancer, but more research needs to be done on PFOA for its potential damage to the human body. Nearly every basic pot and pan set out there contains these chemicals used to create a non-stick surface. The cool thing about cast iron skillets is that they contain iron instead of man-made chemical coating, and if anything is getting leeched into your food, it’s just more iron, which a lot of us tend to need more of anyway. We also love the flavour the cast iron skillet brings forward in food. You don’t need to wash it, so it’s almost like there is a history on your cast iron pots and pan set. The only downfall of cast iron cookware is that it’s pretty heavy, and it needs to be seasoned on occasion. 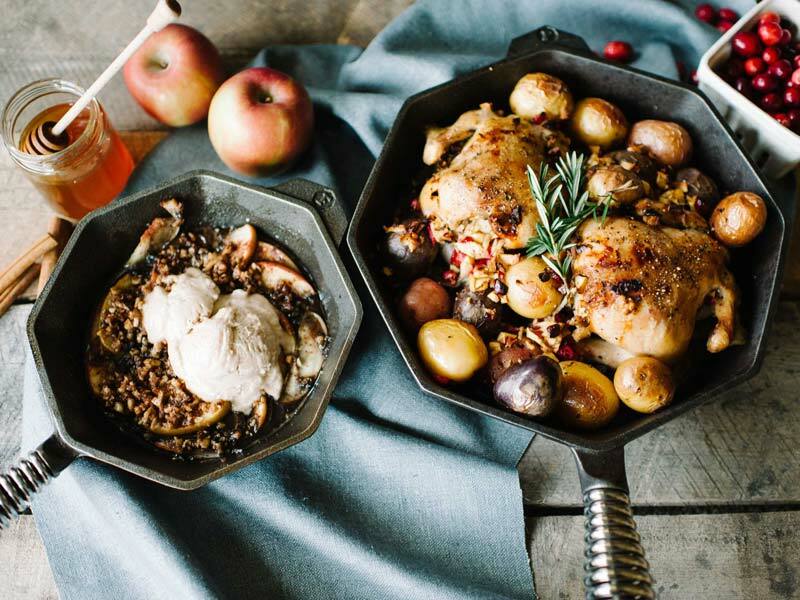 You can also look into stainless steel, copper, or titanium for non-toxic cookware set as well, but if you plan on doing a lot of cooking, a cast iron pan is an essential tool. So, there you have it, our top 5 favourite must have kitchen tools (and essential tools we may add). Comment below and let us know your favourite kitchen tool. 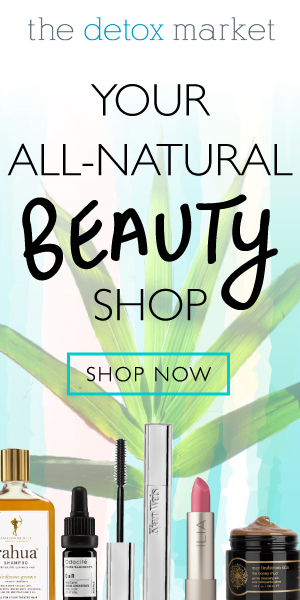 *This article contains affiliate links, but we are true to our word with what we represent. 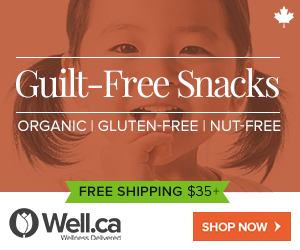 These products have been tested and reviewed by us, and we wouldn’t promote anything we didn’t truly believe in.